The second sub-100g/km CO2 model in Hyundai’s range is available now priced at £13,195. The i20 Blue follows on from the success of the smaller i10 Blue, and makes use of intelligent stop and go (ISG), low rolling resistance tyres, rear wheel air deflectors and a suspension cover. The i20 Blue is based on the 1.4 CRDi 90PS Comfort model, but with these additional features CO2 emissions are reduced from 111g/km in the regular Comfort trim to 98g/km in the Blue model. That means £0 first and second year VED rate and congestion charge exemption. 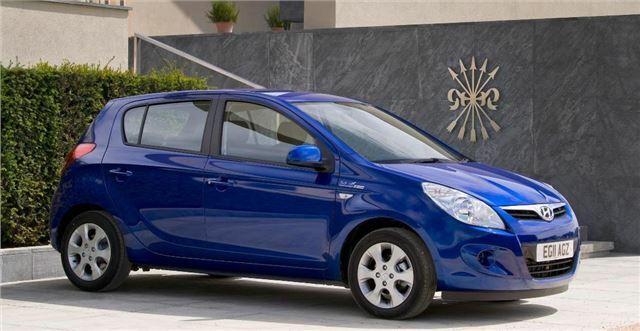 Fuel consumption is down, too – the i20 Blue manages an official combined cycle figure of 76.4mpg. Standard equipment includes 15-inch alloy wheels, Bluetooth with voice recognition, electric heated and folding door mirrors, electric front and rear windows, steering wheel mounted audio controls, USB/ AUX-in, air conditioning and remote central locking. The i20 Blue is on sale now.